Landon learns that his father is Malivore and that he absorbed all the creatures many years ago after making a deal with humans. Malivore got lonely and decided to bring another person along for the ride, so he created Ben. However, Ben did not like it and decided to make a deal with the human's ancestors to turn him into the mud on the ground. Ben tried to apologize but Malivore did not want anything to do with him. Ben offered Landon to help him change things up, maintaining that they could save everyone at the school because Triad posed a threat. Landon agreed, showed him the final key and they escaped Triad. 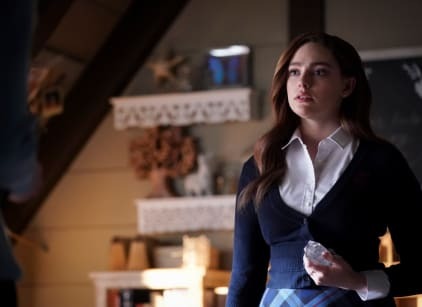 Lizzie learned about the merge and her and Josie got into a fight. Alaric confirmed the truth about it to them and said that there's no loophole to save their lives. Hope realized Landon was not safe and went on a mission with her super squad to save his life. Emma quit the school as Alaric managed to get Dorian back.